Dental implants are the standard of care for replacing your missing teeth. They are a two-part treatment, consisting of an artificial titanium root and a customized dental crown, bridge, or denture. Once the implant has been placed in your jaw, you can care for it just like any other tooth, with regular brushing, flossing, and dental appointments. No denture cream or cleaners, no embarrassing teeth jar by your sink or bed! Whether you have one tooth missing or several together, gaps can cause you problems like trouble chewing and speaking. Without teeth to support, the bone in your jaw gets thinner and less dense. It can even cause your facial muscles to lose tone. What if I’m Not a Candidate Because I Don’t Have Enough Bone? At your first appointment our dentist will assess your jaw bone. Ideally, there will be no loss of density. Traditionally, if your jaw has thinned, we would recommend a bone graft. Bone could be taken from the chin, the sinus, or even a tissue bank and grafted into the jaw to provide strength and stability for the implant. Unfortunately, this extra step can be costly and requires more time. Taking bone from the hip or leg even requires hospitalization! Once the graft has been taken the dentist would drill a small core out of your jaw to make room for the artificial root. 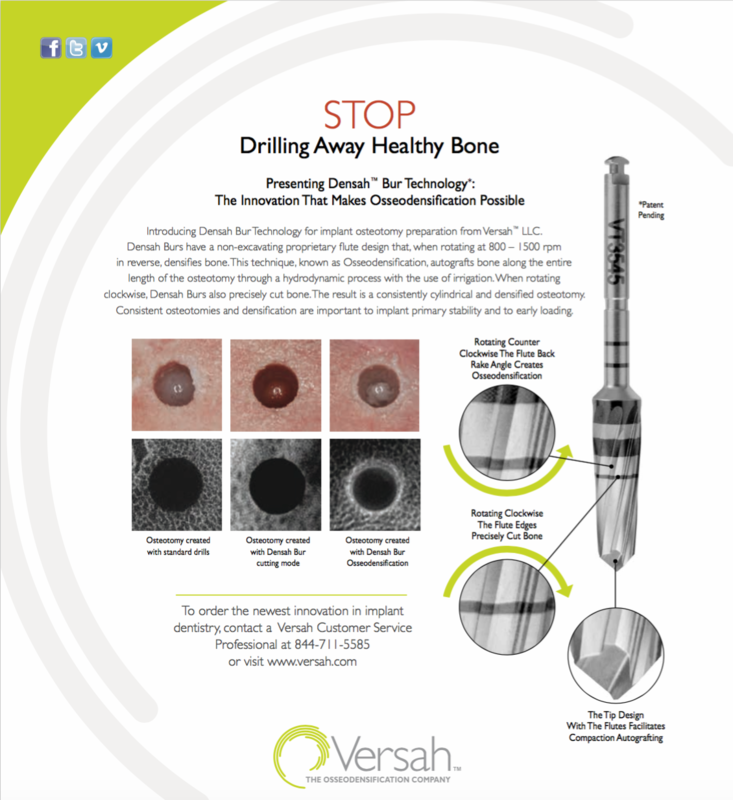 At Dental Implant Solutionz, we offer the cutting edge of implant therapy techniques. Implants help you preserve healthy tooth structures by not drilling teeth down for a bridge. We also want to preserve healthy jaw structure. Instead of taking grafts from another part of your body and cutting out pieces of your jaw, we use a process that condenses your bone. This process, called osseodensification, creates the implant site by pushing the bone outwards from where the new tooth needs to be placed, therefore making the surrounding area denser and even stronger than before. Instead of adding a graft, your body uses existing bone to stabilize your new tooth! 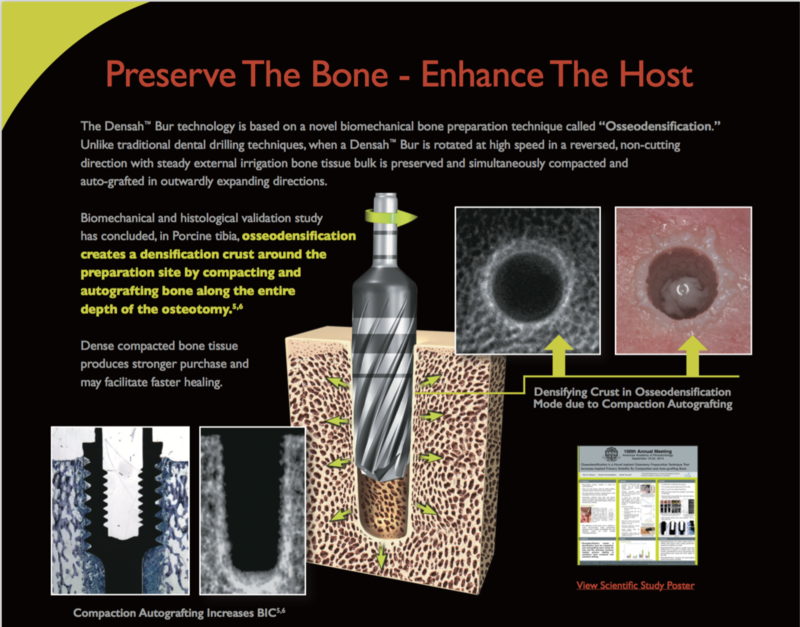 Rather than removing bone from a different part of your body, osseodensification technology slowly displaces your existing bone tissues and makes them more compact around your new implant. It’s almost as if new bone has been added, because of how much stronger it is. Even the sinus cavity can be slightly lifted, so as to avoid the need (in some circumstances) for a sinus lift procedure. The bone moves upward, gently budging the soft tissue lining higher away from the implant root. Once the bone is displaced and condensed, the compacted area begins to ossify and become some of the strongest bone in your mouth! Aren’t Cutting Edge Techniques More Expensive? In many cases, new procedures are much costlier. However, in this case, it is actually more cost effective and less traumatic! The osseodensification process has been in use for many years, but for other, larger bone structures; it has only very recently been applied to use with implant therapy. It doesn’t require surgical bone grafts, costly hospitalization, or removal of healthy jaw bone. Implant osseodensification placement works by using modified equipment that runs counterclockwise alongside of copious irrigation. Instead of removing the bone from the implant site, it is compacted deeper into neighboring osseous tissues. Not only is it more stable, it also heals faster. Although he has been placing dental implants for years, Dr. Tadros chose to train directly under the supervision of the osseodensification technique’s developer. As such, he received the closest level of guidance as he begin implementing this new technique in our practice. 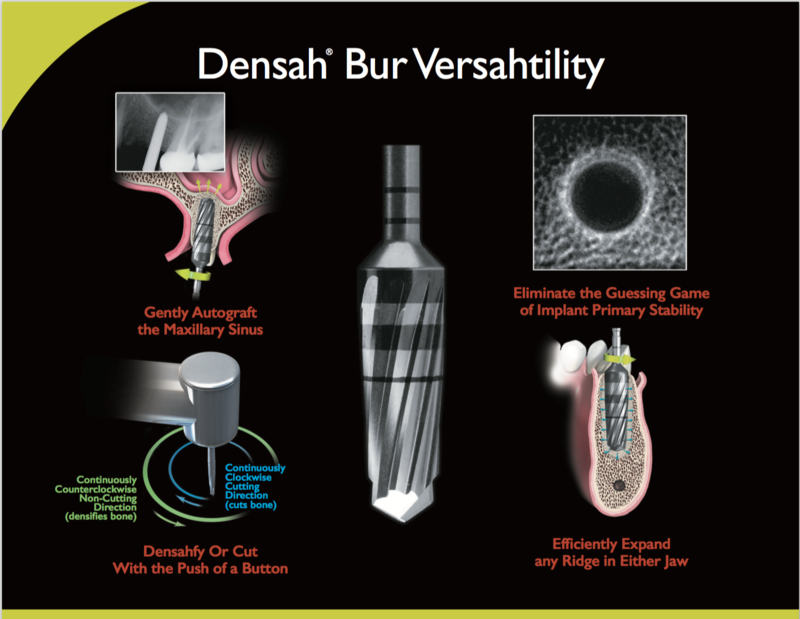 We now offer it as an alternative in just about every implant case! Your new implant can be installed into place in just a single appointment. 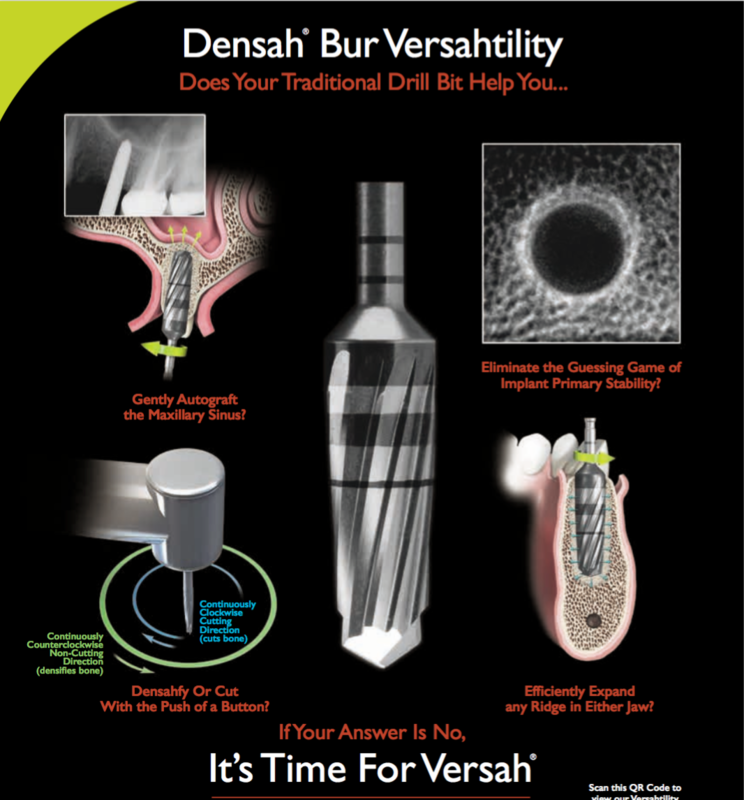 Since there is no unnecessary drilling or grafting, the site will heal quicker and the root will be more stable than with traditional placement techniques! As such, it is possible to perform both traditional implant restoration, as well as immediate loading (“Teeth in a Day”). If the thought of bone grafts and hospitalization keep you from replacing your teeth, call Dental Implant Solutionz. Our implant dentists will work with you to make a plan to fix your teeth and let you smile with confidence! The video below is highly educational in providing insight into the osseodensification procedure. If you’re interested in learning more about the procedure, an FAQ and further learning materials can be found at the manufacturer’s website.